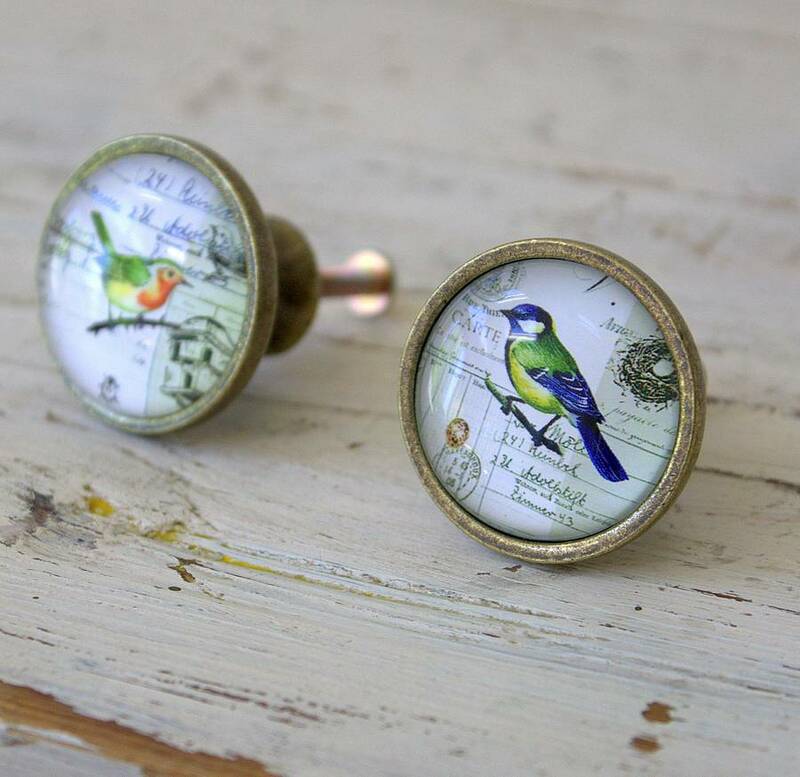 Add a touch of vintage chic to a plain drawer with this set of two bird drawer knobs . 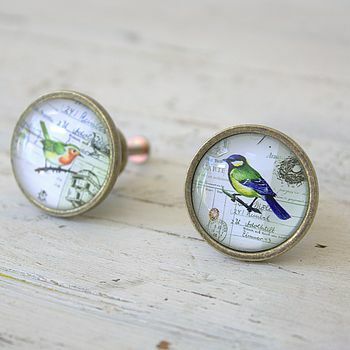 The set consists of two glass fronted metal drawer knobs in two bird designs. 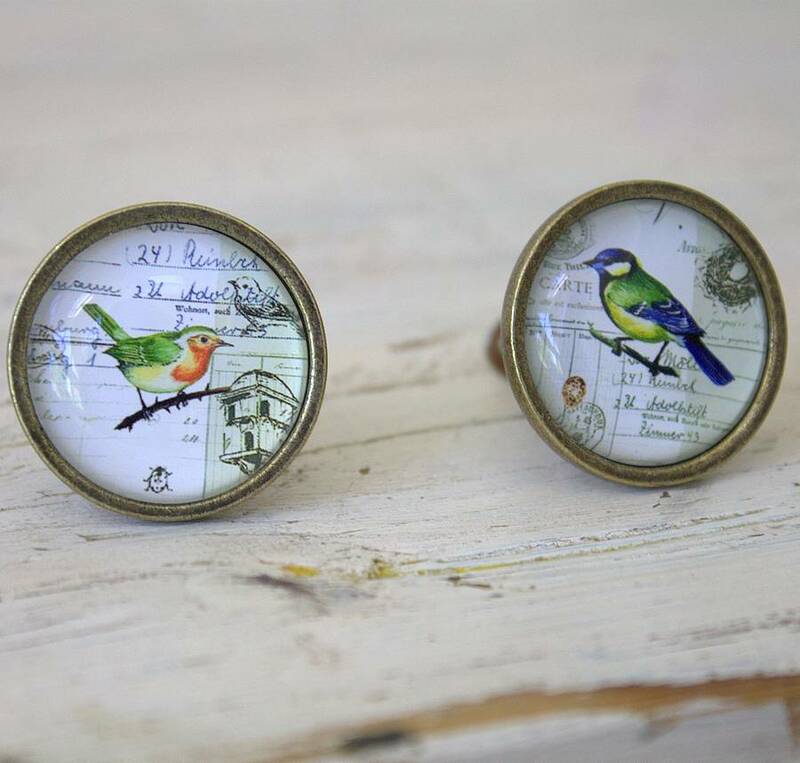 Perfect gift for gardeners and nature lovers or for creative friends who love quirky decorative pieces. These are very easy to fit , simply remove the old fittings and screw into place.